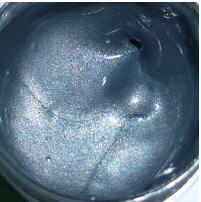 The PD aluminum paste gives to enamels and varnishes a silvery look and anticorrosive properties. Our company delivers the PD Aluminium paste in the 50 l metal drums. Unbelievable price on Aluminum paste for production of paints in Berezan (Ukraine) company APR, OOO.